The 2019 US National Junior Program is now accepting applications! Love orienteering? Interested in taking your talents to an even greater level? The 2019 US National Junior Program is now accepting applications! This applies to any junior orienteers (under age 20) who would like to apply to be on the National or Development teams. COC currently has five juniors participating at the US Junior National level. Siri Christopherson, Tyra Christopherson and Caroline Sandbo are all members of the 14-person Junior National Team. In addition, they were three of the six elite orienteers selected from within the Junior National team to have the honor of running for Team USA Women at JWOC 2018 in Hungary this past July. Jessica Colleran and Kai Mihata were both selected as members of the 25-person Junior Development Team this past year. 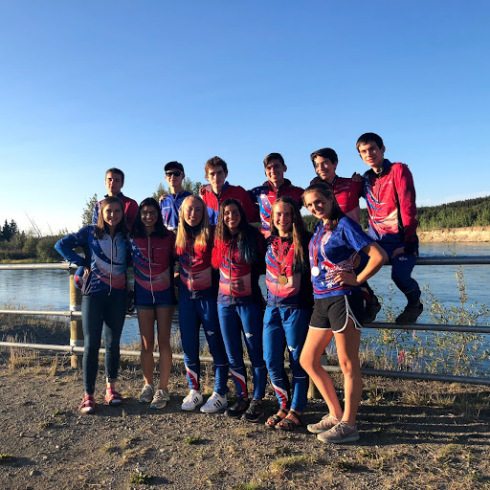 Both Kai and Jessica, along with Siri and Tyra, played critical roles in helping Team USA bring home the Future Champions Cup at NAOC this past August in Yukon, Canada. For more information and access to the application forms for the US Junior National Program, please visit the OUSA website here.